Display Technology: XGA. Type: LCD Screen. Screen Finish: Matte. 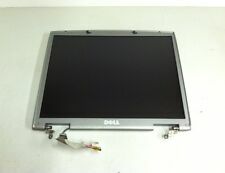 Dell Inspiron 5100,5150,5160 15" XGA Screen Assembly, Resolution 1024x768. Compatibility : It'syour responsibility to make sure that the item is compatible with your computer/laptop. Model:Inspiron 5150. LCD Screen is grade A. Plastics/Cover is grade B or better (light to moderate wear, scratches, no cracked plastic.). If an item is not shown in the photos it is not included in what you will receive. Display Technology: XGA. Inverter: Yes. Type: LCD Screen. Screen Finish: Matte. Display Technology: XGA. Type: LCD Screen. Fix your laptop with our genuine OEM original parts. Condition: New. Max Resolution: 1024 x 768. 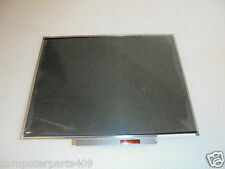 Used Genuine Dell Laptop Inspiron 5150 LCD Screen. Sold is just for the LCD Screen Only. LCD SCREEN FOR INSPIRON 5150. Dell Inspiron 5150. 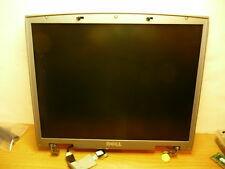 DELL 15.1" LCD Assembly. Fits Dell 15" LCD Screen tested Good. Screen Display with Bezel. Screen has been tested in working condition. NO dead pixels on screen. This is a DELL Inspiron display pulled from a working dell 1150. It will work with models 1150 5150 5160 Latitude D505 100L XGA ID Display LCD K2105. Fix your laptop with our genuine OEM original parts. Type: LCD Screen. Display Technology: XGA LCD. Flex / Coax / LCD cable: Yes. 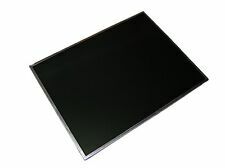 LCD SCREEN FOR INSPIRON 5150. DELL 15.1" XGA LCD. Dell Inspiron 5150. Fits Dell 15" LCD Screen tested Good. Screen Display with Bezel. Screen has been tested in working condition. NO dead pixels on screen. We claim no affiliation with the manufacturers of our products. Model Numbers: N1563, 0N1563, LQ150U1LW22N. 5 lot Genuine Dell Sharp Inspiron 5150 15" UXGA Matte LCD Laptop Notebook Screens. It's fun and easy and everyone wins. Otherwise, the order is already on its way. CCFL For Dell With Inverter. Our staff have been dealing with laptop screens for over twenty years. A. Dell screens are different to normal panels. DO NOT order your Dell screen by part number. Even the exact part number will normally not work. 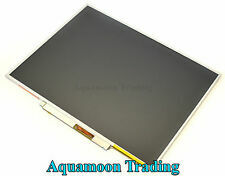 Dell Inspiron 1100 1150 5100 5150 5160 15.0" XGA CCFL LCD Screen TC575 TW-0C4011. Condition is Used. Shipped with USPS Priority Mail. Working LCD. Pulled from damaged unit. DP/N: 98REH, 098REH or compatible: 1K826, 8P691. Resolution: XGA (1024 x 768). L0C:G26(02)/KK#60/MM#10. Inverter Included. DP/N: TC575, 0TC575. Latitude D505 D510 110L. XGA Resolution - 1024 x 768. Inspiron 1100 1150 5100 51505160 1200 2200. The pictures in the ad is to show what's included. Compatibility : It'syour responsibility to make sure that the item is compatible with your computer/laptop. Display Technology: SXGA . Inverter: yes. Screen Finish: Glossy. Type: LCD Screen. Dell Inspiron 5150 15" LCD Screen XGA 1024x768 Matte 0F1124 F1124 LP150X09 (B3). Manufacturer's part number: LP150X09 (B3). Resolution: 1024x768. Compatible Model: Dell Inspiron 5150. Dell Part Number: 0F1124 F1124. Otherwise, the order is already on its way. Our approach to tech recycling allows us to utilize perfectly good products that would otherwise head to the landfill. This is a GENUINE manufacturer part. Manufacturer Part Number: W3378. Backlight: CCFL. Part taken from a good, working Dell Laptop. Dell OEM Original Part. LCD Cable Details. Tested and Verified working. Type: LCD Screen. Screen Finish: Matte. Max Resolution: 1400 x 1050. Screen seems to be in average condition. CCFL For Dell With Inverter. b. Administer and enhance the site and service. Our staff have been dealing with laptop screens for over twenty years. A. Dell screens are different to normal panels. DO NOT order your Dell screen by part number.